Right Time International Watch Center - we buy, sell, trade and service fine wrist and pocket watches in Denver Colorado since 1979. We encourage you to visit both stores, as each store carries a different selection of watches and brands, but if you can't visit our stores in person, with reliable help of UPS, we can deliver any item to your door at any part of the world. Sales: The Art of "Watch Matching"
Our strength is taking time to match a time piece to its new owner. As a matter of fact, you can give us some specific details about your lifestyle, watch needs, and a price point, and we will be happy to e-mail you our recommendation. We strongly feel, that watches must be presented with a personal emotional connection, maybe a personal story, a history, or they will become nothing more than a trading commodity. We offer a great selection from over 40 Major Watch Brands (an AUTHORIZED DEALER for every one of them) from all over the world: Alexander Shorokhoff Watches, Germany; Alpina Watches, Switzerland; Anonimo Watches, Switzerland; Armourlite Pocket Watches, International; Armourlite Watches, International; Ball Watches, Switzerland; Belair Pocket Watches, United States; Belair Watches, United States; Brera Orologi Watches, Italy; Bulova Watches, United States; Casio Watches, Japan; Citizen Watches, Japan; Corum Watches, Switzerland; Cuervo Y Sobrinos Watches, Switzerland; Eterna Watches, Switzerland; Frederique Constant Watches, Switzerland; Grand Seiko Watches, Japan; Gucci Watches, Italy; Hamilton Watches, Switzerland; L. Kendall Watches, Switzerland; Laco Watches, Germany; Luminox Watches, Switzerland; Maurice Lacroix Watches, Switzerland; Meistersinger Watches, Germany; Mido Watches, Switzerland; Mondaine Clocks, Switzerland; Mondaine Pocket Watches, Switzerland; Mondaine Watches, Switzerland; Movado Watches, Switzerland; Muhle Glashutte Clocks, Germany; Muhle Glashutte Watches, Germany; Nivrel Pocket Watches, Germany; Oris Watches, Switzerland; Perrelet Watches, Switzerland; Rado Watches, Switzerland; Raymond Weil Watches, Switzerland; Reservoir Watches, France; Seiko Clocks, Japan; Seiko Watches, Japan; Traser Watches, Switzerland; Tutima Watches, Germany; U-Boat Watches, Italy; Victorinox Swiss Army Watches, Switzerland; Zeitwinkel Watches, Switzerland; and many more in our New Watches & Clocks departments. Because we are an Authorized Dealer for all of the brands, you will get a FULL FACTORY WARRANTY (from 1 to 5 years) on EVERY watch we sell. Furthermore you can find Colorado's Largest selection of rare Antique or Modern slightly used (but never abused!) watches from our Pre-Owned Watch Collection - names like Rolex, Omega, Cartier, Breitling, Panerai, Audemars, Hamilton, Illinois and hundreds others backed up by an unmatched after sale 12 months limited warranty. Be assured that you will always get the RIGHT watch, at the RIGHT price, from the "RIGHT TIME"! 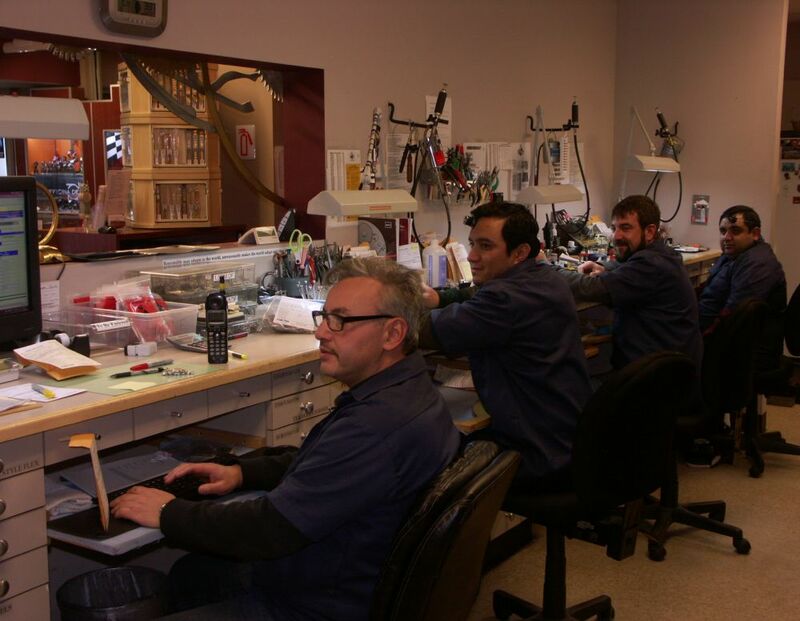 Service: The Art of "Watch Making"
Another great strength of our store is an expert, state-of-the-art S. Colorado Blvd. and E. County Line Road service departments with 5 watchmakers having over 150 years of combined expertise - three Certified in Europe and one AWCI certified. Our Watchmakers are uniquely qualified to restore your favorite timepiece from 17th century pocket watch to a modern day kinetic. 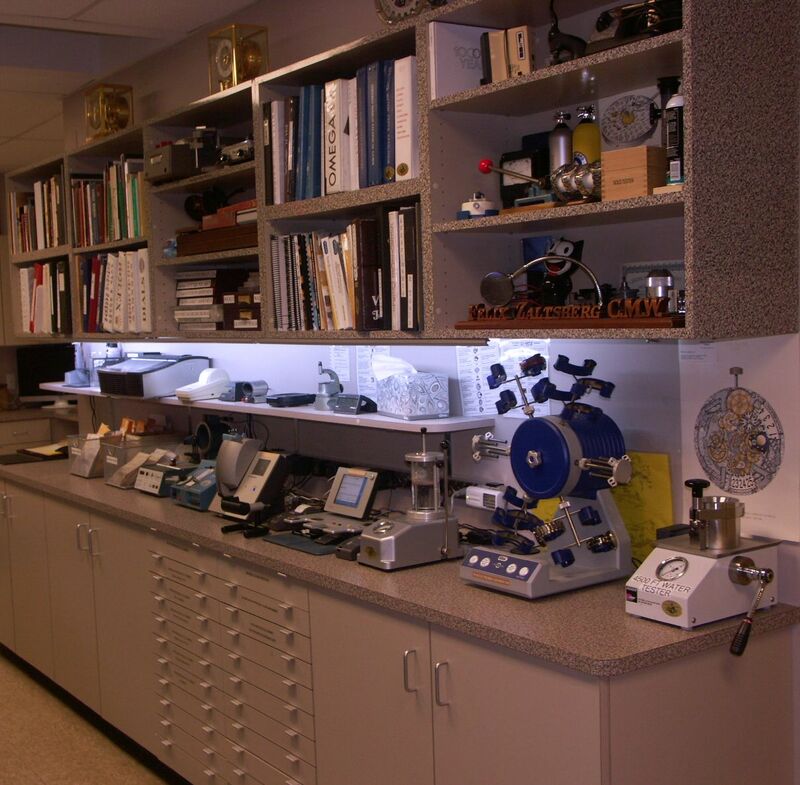 Our repair facility has been approved by Seiko, Bulova, Citizen, Tag Heuer, Tutima, Muhle Glashutte, Rado, Omega, Tissot, Longines and many others. 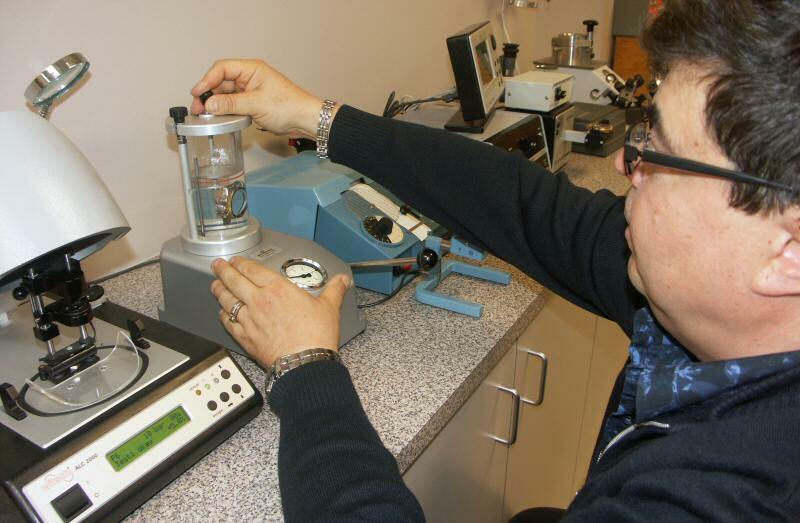 We are a Factory Authorized repair center in US for Muhle Glashutte, Tutima, Jean Marcel and Nivrel brands. All repairs carry 12 month limited warranty. We welcome your repairs for a written/phoned estimate. We offer a Water Resistant Package - an exclusive service for diver's watches. 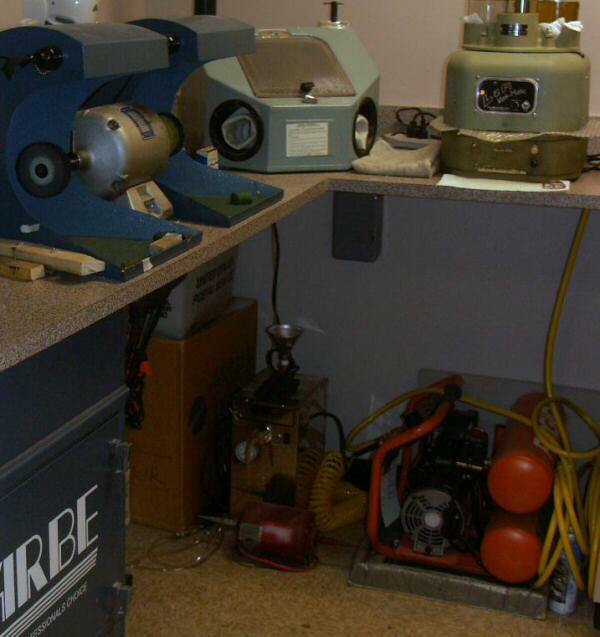 We can perform Dial restoration, crystal cutting, complete Case and Bracelet refinishing, sand blasting or any other original finish in a separate polishing room, and old parts restorations or manufacture new parts if needed. Perhaps grandpa's old heirloom can be brought back to life after every one else said: "can't get parts"; and now you could proudly hand it down to a new generation!!! Thank you for a cyber visit and don't hesitate to drop me a line call to chat (888)846-3388, or, better yet, come in and see it all for yourself. To all of our friends, watch lovers and watch addicts: don't forget to mark your calendars for the last weekend in September, to visit our County Line store for an annual "Watch Affair" spectacular!